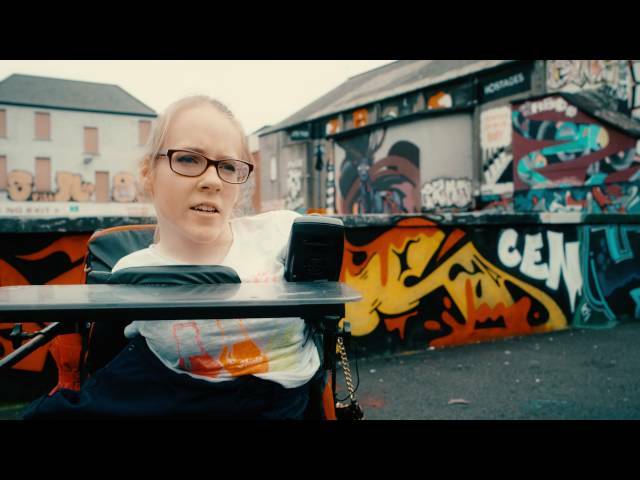 Teenage disability rights campaigner Joanne O’Riordan is an ambassador for this year's Coca-Cola Thank You Fund, which is awarding €130,000 in grants to community organisations for projects that support and inspire young people. Young people today live in a world where they are empowered to make a difference. With the advent of technology, every one of us has a voice and a platform on which to use it. What’s more, we are all more mobile than ever before. Flights are less expensive today than they were when your parents were young. That means that many Irish people born today will live abroad – at least for a while. Beyond the physical world, with the advent of technology, we can all choose to inhabit virtual communities. If you are interested in tattoo art or marine biology, you can find forums and groups to sustain your interests. So far so good. But what about the challenges? Every generation faces its own difficulties but the pressures today are heightened because they never stop. The flip side of technology is that social media never switches off so if you are being bullied, it becomes a 24/7 ordeal. With everyone distracted by their phones, it can be easy to stop participating fully in the world that surrounds us. Online communities are all well and good, but after a while we start to look again for human interaction. I’m a really sociable person so I love to be around people but I think everyone feels the need to connect with friends. At the moment, I am a student in UCC studying Criminology. To go to university meant moving out of my parents’ home into student accommodation. I love the freedom this has given me – I’ve made lots of new friends who have opened my eyes to so many different opinions and world views. Becoming involved in youth organisations is a great way to meet new people. The National Youth Strategy points to the fact that just 39% of young people are involved in a club or society in Ireland, which means there are lots missing out on the opportunity. There are so many great non-profit and voluntary organisations at work in local communities. I’m thinking of the amazing youth groups which are doing a lot of work, often with very tight budgets. In my own case, I’ve been involved with the GAA since I was really young – it’s something I’m really passionate about and it helps me feel part of my community. When our team wins, I’m cheering along with all my neighbours and friends – we all feel the same joy. In other words, getting involved in a group – whether its focus is sport or something else like dancing or art or filmmaking – is a great way of establishing a connection with the wider community. It gives people a social outlet and an opportunity to have some fun. And as they build up their experience, it gives them the platform to become community leaders. Joanne O’Riordan, alongside TV and radio stars, Eoghan McDermott and Pete Snodden, at the Coca-Cola Thank You Fund launch in Dublin. I feel a sense of responsibility to help others – particularly those faced with disabilities in Ireland and around the world because I know what they are going through. I have what is known as Total Amelia which means I was born without limbs. I use my voice to speak out on their behalf so the challenges others face are lessened. It can be a bit scary and sometimes you have to force yourself to go out of your comfort zone. I was given the honour of addressing the United Nations in 2012 and that was one of the most nerve-racking experiences in my life. It is also one of my proudest memories. We need other young people to become community leaders – promoting the causes they care most about whether it be a cultural pastime or even a business. The Coca-Cola Thank You Fund is awarding €130,000 in grants to community organisations this year for projects that support and inspire young people. I’m an ambassador for the Fund and I’m calling on organisations which see the potential to make a difference in young people’s lives to apply. By working together, we can help improve young people’s wellbeing, their confidence and self-esteem. We can create the leaders of tomorrow. Applications for the Coca-Cola Thank You Fund will be accepted online at www.coca-cola.ie/thankyou until June 7th. The Fund will award 1 grant of €30,000; 8 grants of €10,000 and 4 grants of €5,000. This blog post originally appeared on her.ie.